We track every Amiibo video game purchase on eBay to bring you the most accurate video game prices around. Nintendo Amiibo Yoshis Woolly World Series Yarn Poochy NA Version NEW! Nintendo Amiibo Yoshis Woolly World Series Yarn Poochy NEW IN BOX!! Nintendo Yarn Poochy Amiibo Factory Sealed and Brand New. BRAND NEW! 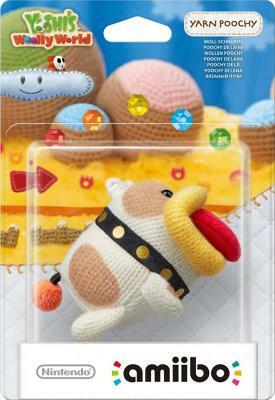 * NINTENDO YARN POOCHY AMIIBO * FACTORY SEALED * FAST SHIPPING! Nintendo Amiibo - Yarn Poochy and Blue Yarn Yoshi - Rare - Switch 3DS Wii U NEW!